We cordially invite all interested parties to participate in a two-day international SCADA security conference, which will take place at DAP hotel on October 12 - 13, 2017, in Prague, Czech Republic. We offer a unique opportunity to get acquainted with the views of experts on the need to prevent computer attacks on SCADA systems, to look at interfacing operating and security technologies to minimize threats to internal cybercrime and disrupt manufacturing processes from outside. One conference session is also dedicated to the educational process, human factor, training SOC/CERT teams. The conference focuses mainly on middle and higher (C-level) management of manufacturing and distribution industrial enterprises, producers and developers of modern information and communication technologies. Furthermore on critical infrastructure experts, public sector representatives, security and armed forces officers, and academic communities. The conference program guarantees a high level of lectures, including practical demonstrations and professional discussions. Simultaneous interpretation between Czech and English will be provided. 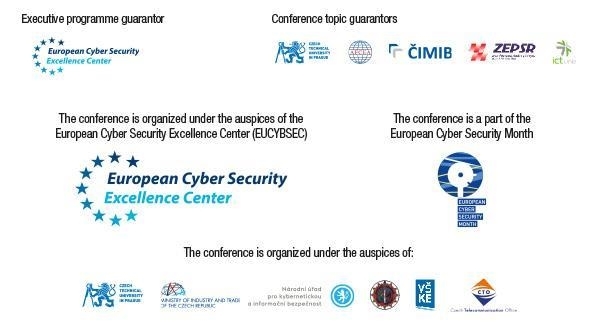 For more information why to participate and join first Central European SCADA Security Conference, and how to register visit our website. Participation in the conference is charged. If you have questions, do not hesitate to contact organizers. The conference organizers, its partners, professional guarantors and outstanding guests are pleased to meet you!